We painted the homasote and plywood to seal out moisture and give it a more dirt and stone look. Given that homasote is a compressed paper product, we want to ensure as we’re adding scenery and gluing it down with white glue and water, the homasote doesn’t swell. One “lesson learned” from the Ross switches, or rather the Z-stuff DZ2500 switch motor, is that unlike the DZ1000 motors, the DZ2500s throw at a prototypical speed (read: slow). 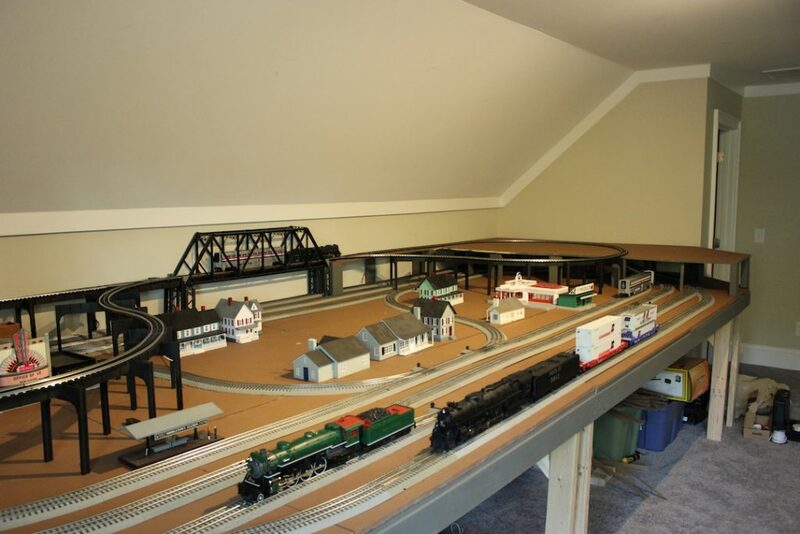 While I’m sure it looks great for switches closer to the observer, it’s not really needed for our elevated section since the switches are at the back of the layout and we’re really aiming for fast performance rather than prototypical operation. 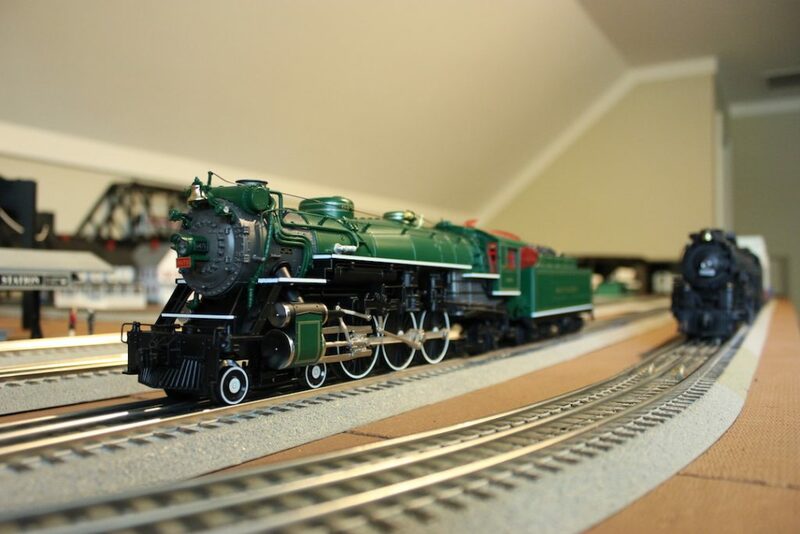 What I may do is wire up the non-derailing wires (green and yellow) rather than the Thru and Out wires (blue and white) so the motors will always throw at their fastest speed. Once the elevated section is complete, we’ll have all tracks operational and be able to run four trains simultaneously with no operator intervention (and five trains if we keep an eye on it). 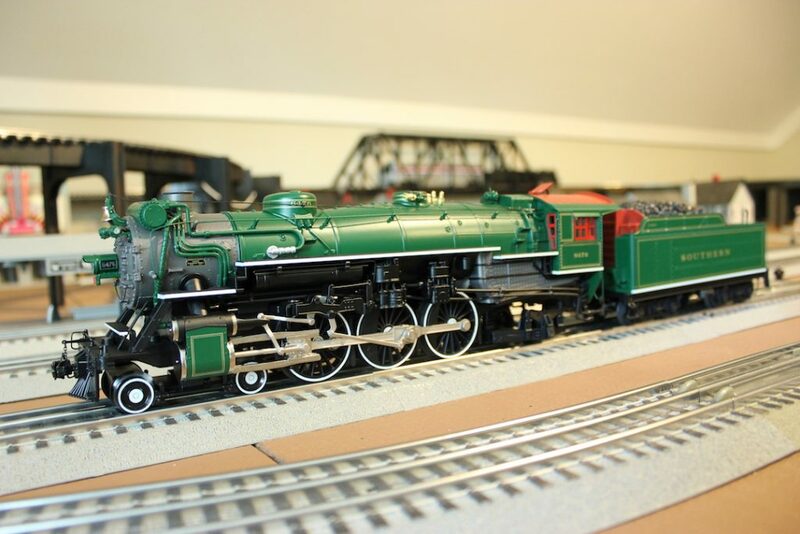 Lastly, we added a new locomotive to the roster – an MTH Premier Southern PS-4 Pacific. 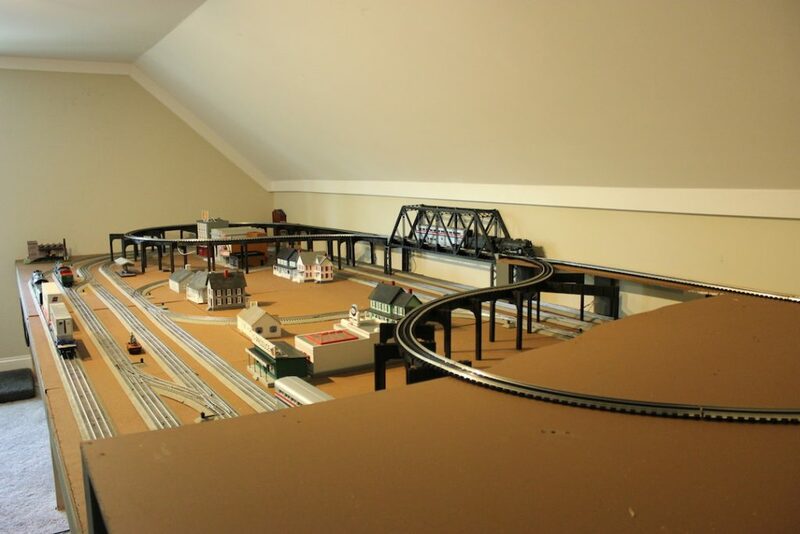 The purchase was a bit impromptu – we were at Legacy Station picking up our Ross switches and scenery and we saw the Pacific on the display shelf – after seeing it run on the test track and hearing the sound system, we couldn’t leave without it!